← STAY IN YOUR LANE…OR NAH?! Last night, I completed season 2 of “House of Cards.” Don’t worry: no spoilers here. But it is safe to say that this political thriller is not showing any signs of holding back on the mind-games, complex human interactions, and the price of power. But there is also an unspoken, yet not so subtle theme that seems to transcend fiction and parallel the real-world experience: fear of failing. And I don’t mean “falling short.” There are several moments in “House of Cards” where even the main character, Francis Underwood, miscalculates a step or two–resulting in an unexpected outcome. But on the other side of achievement–and juxtaposed with strength–is failure. And Frank has no time to fail…and he darn sure doesn’t entertain losers or failures. It seems “falling short” is the new black. Even amongst churchfolk, the concept of “we all fall short” is often code for “hey, I tried…and besides, no one is perfect.” We may tweak a couple things here or there, but why scrap the whole plan, right? And so we never reach failure–at least not voluntarily. Yes, we are overcomers. Yes, we are more than conquerors. But to recognize how much more, one must experience being conquered. It is not through our power that we overcome failure, but the power of Jesus Christ. Simple statement, but not always a simple acceptance when things don’t go quite your way. 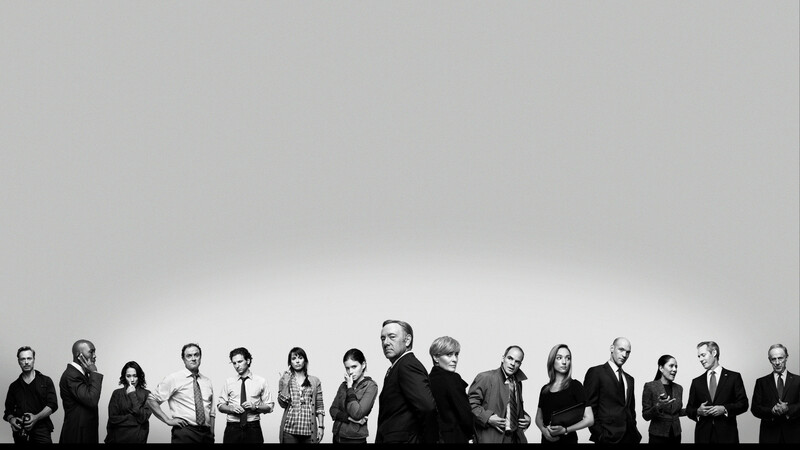 Look at Frank Underwood–his life is like a gerbil on an endless spinning wheel. If his plan does not go his way, the fear of weakness causes him to cut another at the knees; the prospect of vulnerability results in endless calls and manipulative tactics to persons of clout; and to mask his shortcomings, he always keeps a person or two close that is struggling just a tad more than him. Sure, most of us don’t operate on Underwood level (although as a former congressional staffer, it is eerie to see how fiction often emulates reality). But we’ve all resisted failing. We try to make a few updates the report; we make a couple more calls; we try our best to reverse the outcome. But God doesn’t need any effort from us to pull a win. At times, all He needs is for us to recognize how limited we are, so He can reveal how limitless He is. And sometimes the real failure is not the actual failure, but our denial of failing. Concerning this thing (the thorn) I pleaded with the Lord three times that it might depart from me. 9 And He said to me, “My grace is sufficient for you, for My strength is made perfect in weakness.” Therefore most gladly I will rather boast in my infirmities, that the power of Christ may rest upon me. 10 Therefore I take pleasure in infirmities, in reproaches, in needs, in persecutions, in distresses, for Christ’s sake. For when I am weak, then I am strong. ~ 2 Corinthians 12:8-10. The miracle of Jesus is that everything: from his birth, to his death, to his resurrection, to his love for us, defies the natural order of things. The same is true with the perception of weakness. What humans see is a far stretch from what God knows–even if not apparently visible to the average eye. So we don’t have to always “fall short.” We can sometimes, just fall flat. Our Savior is always on standby (and ready) to pick us up again. To shy away from the doctrine of failure is like not recognizing the shame of the cross: you have to call it what it is to recognize how only the presence of Jesus reverses the full consequences of negativity and evil. 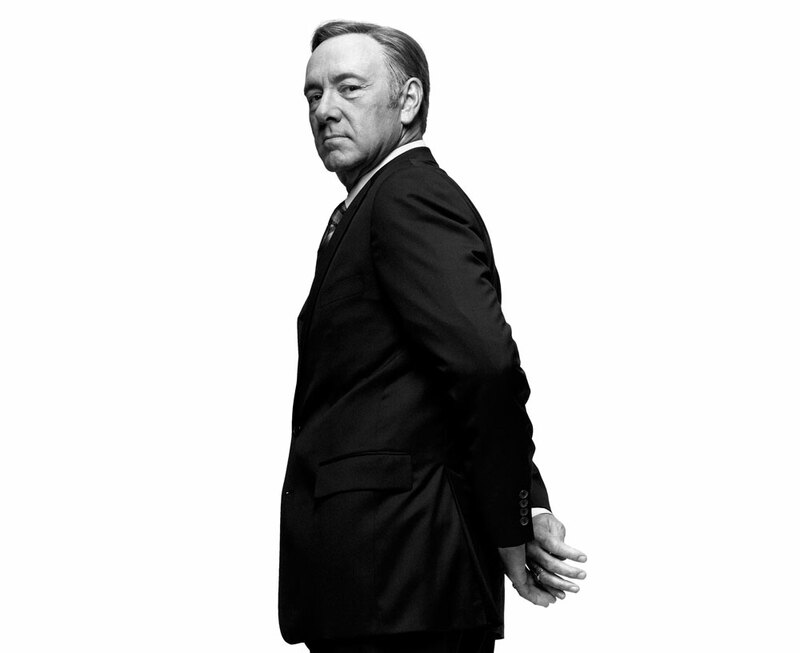 Failure, to Frank Underwood and many of us, is akin to death and destruction. 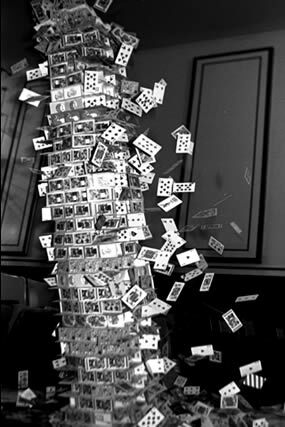 But aren’t we lucky that we don’t live in a House of Cards or chance? That what looks like a hindrance is actually designed to show the greatness of God in us in spite of our failures? And it is through the acknowledgement of weakness–not the denial of it–that purpose is perfected. This entry was posted in Thursdays with Ify and tagged cross, failure, fall short, God, house of cards, irony, Jesus, lessons, miseducation, negativity, strength, thorn, weakness. Bookmark the permalink. I don’t watch House Of Cards, but clearly…I don’t have to to get the point of your blog today. Sis…once again, you’ve nailed it w/ precision. Did u say, “It seems “falling short” is the new black. Even amongst churchfolk, the concept of “we all fall short” is often code for “hey, I tried…and besides, no one is perfect.” BOOM!!! In a time such as this…we truly do need truth…hard truth…in a loving way that is relatable. Thank you for doing so…I truly look forward to your posts every week. Agape. Thank you, sis. There is something really “innocent” about saying “I effed up” lol. Time to just call a spade a spade 🙂 And as always, your comments remind me that at least ONE person gets what I mean lol (and I am working really hard on reciprocating that with all my sisters, because comments are nice…sidebar over) hearts n hugs! Call a spade a spade. I am GUILTY AS CHARGED for that one fa sho!!!! Gotta do better when WE KNOW BETTER!!!!!!!!!! !